At the recent EUROTEK conference, Liesbeth Liekens of Submerge Productions interviewed Mark Caney, VP, Rebreather Technologies, about the range of PADI rebreather courses that will be released later this year. You can see the full interview here. The interview has subtitles in the following languages: English, German, Dutch and French. Subtitle language can be selected in the video player with the Options button, then selecting the “subtitle language choice” tab. Subtitles can be switched on or off with the “cc” button (closed caption). So the burning question is when? We expect the courses to come out in the second half of 2011. Looking forward to be a part of it! I also dive more than one make of rebreather, are the courses unit specific – any cross overs needed from unit to unit ? 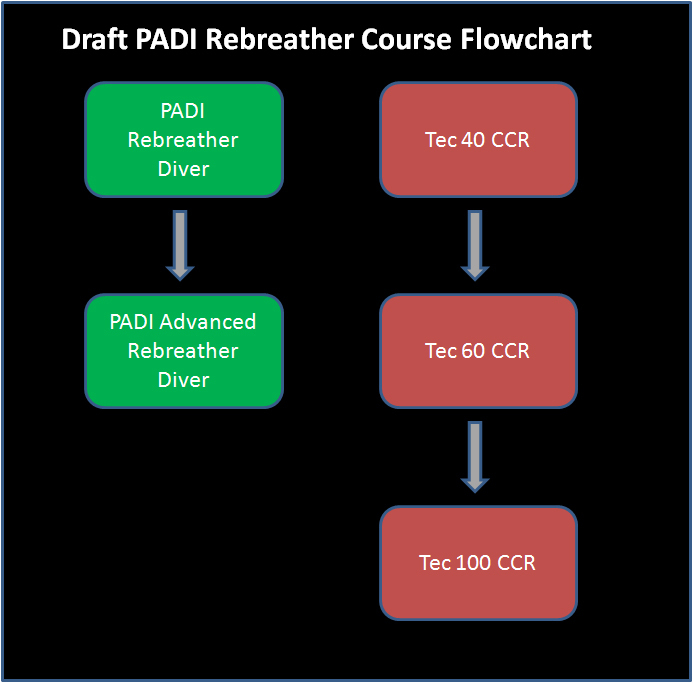 what is the requirements for technical rebreather 100 meters and another levels for tech rebreather? The biggest drawback is price of the CCR unit. Does PADI expect the student to buy his/her own unit? Or are the PADI/PADI shops renting? 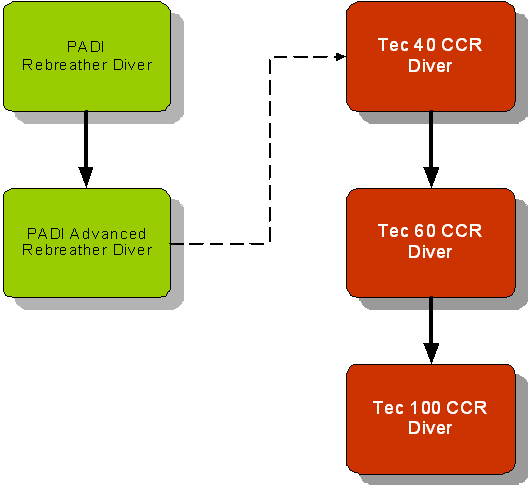 I think its time that more and more PADI dive centers get CCR’s and offer courses to clients. CCR’s for rent is a must. One can travel with only soft parts of the system (hoses and lungs) and connect it to the main aperatus making it their own. I believe that less demand of buying CCR’s will eventually sell more courses and more systems as divers will have the oportunity to try, enjoy, use on vacations etc’ then decide if they want to perchase their own CCR and of which make. This is up to us, operators to educate the market to an easy and comfortable use rather to creat dificulties. when does the Tech CCR courses launch? ?